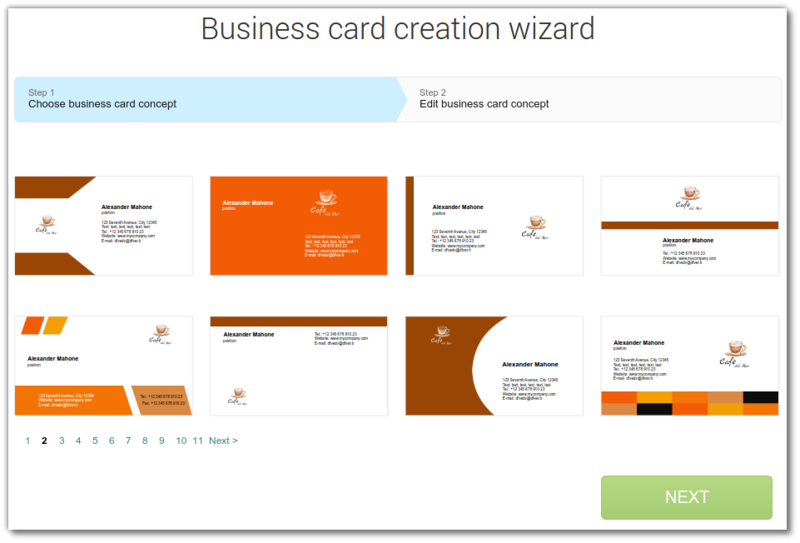 Today we will show how to create business cards, envelopes, letterheads with created logo. 1. Visit the logo page in your account. 2. 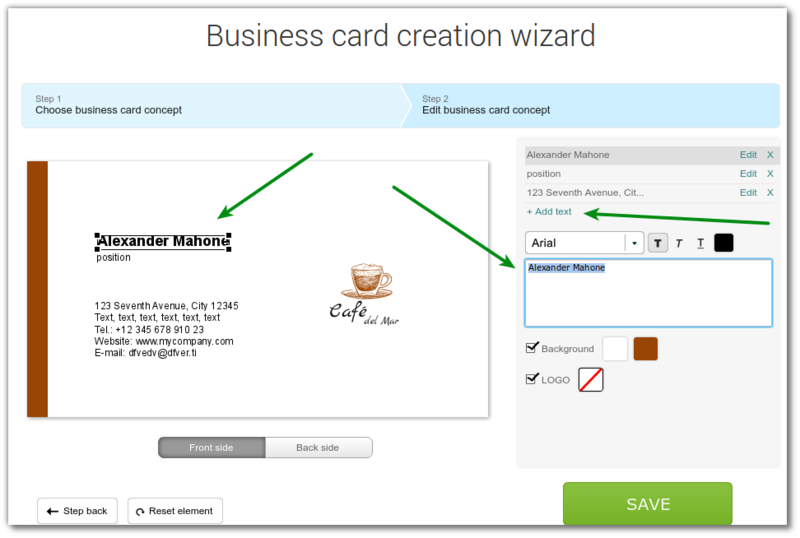 Click “Create a business card with the logo” or any other product. It is the triangle icon in the top right corner of the logo. 3. Then Wizard will open and you can select the desired design. 4. Add the required information or make changes to the design layout. Also you can do this later, for example after purchase. More information about business card design you can find here. After you save the concept you can buy it or work on its design later. Instructions on how to make payment are here. 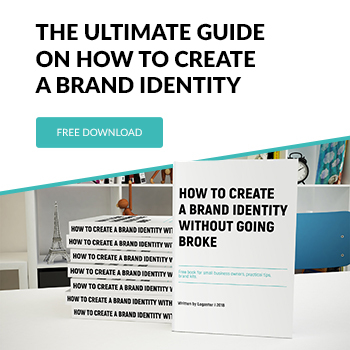 Similarly, you can create any other products – envelope, letterhead, favicon.